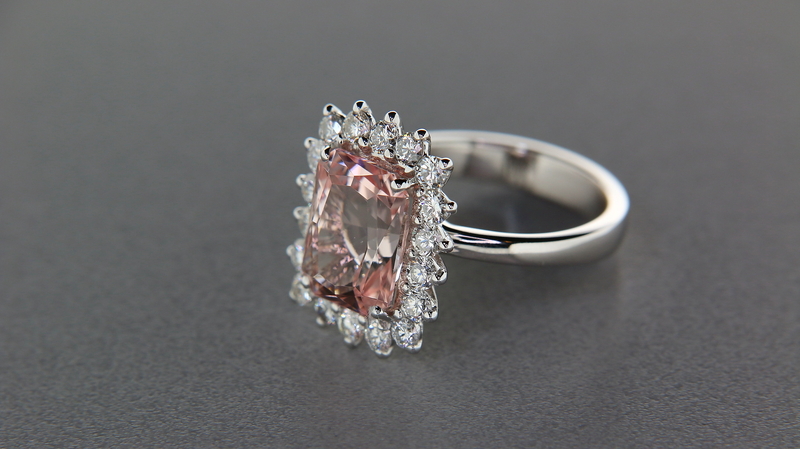 "A gemstone which color is a prestigious, feminine and seductive pink"
The gem that we could call Pink Emerald The morganite was renamed by the gemologist Kunz in honour of the American collector Morgan. 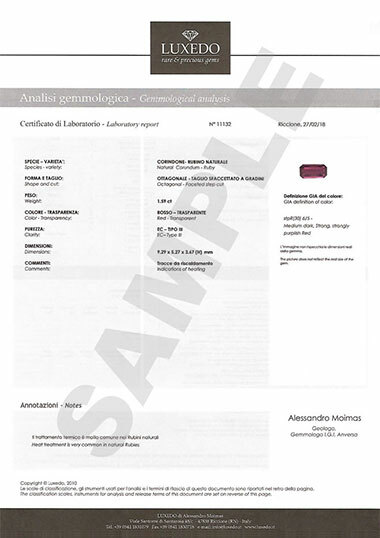 It is a recent discover but worthy of being noticed and appreciated for its value and versatility. 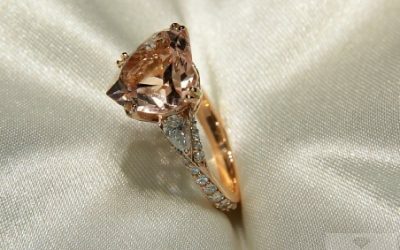 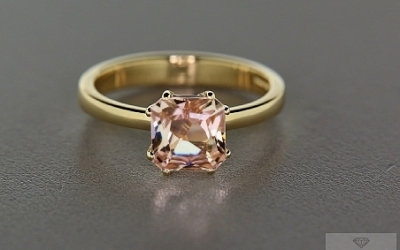 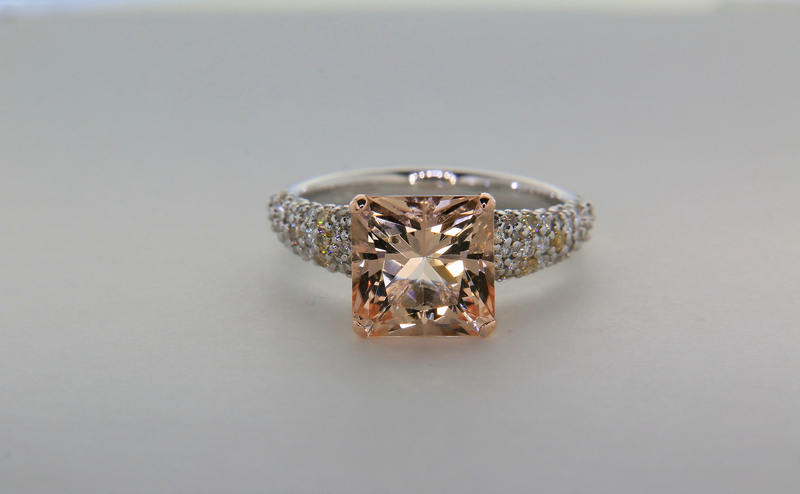 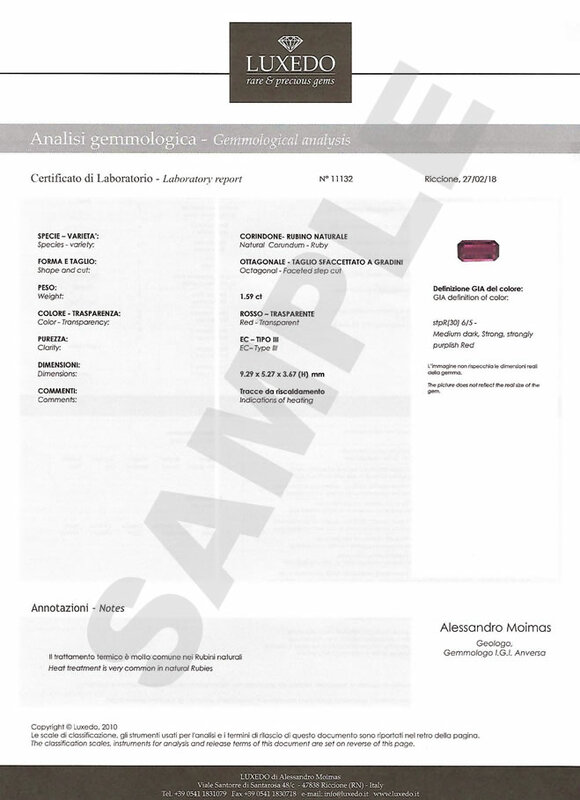 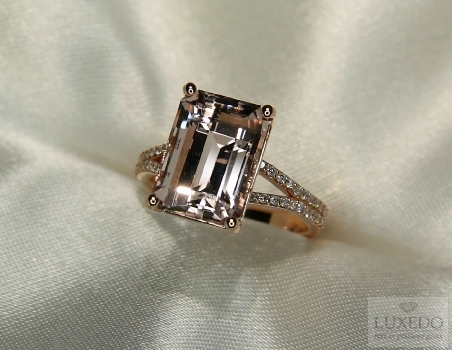 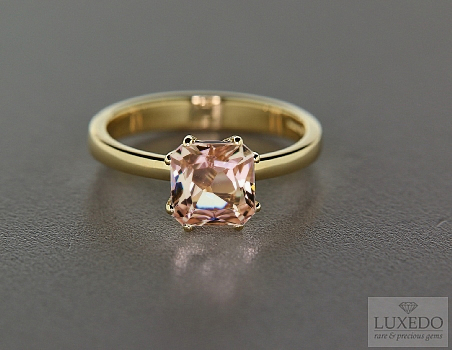 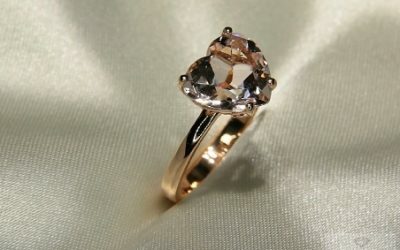 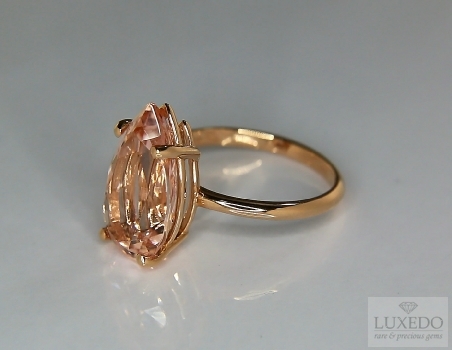 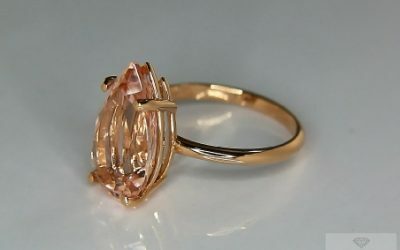 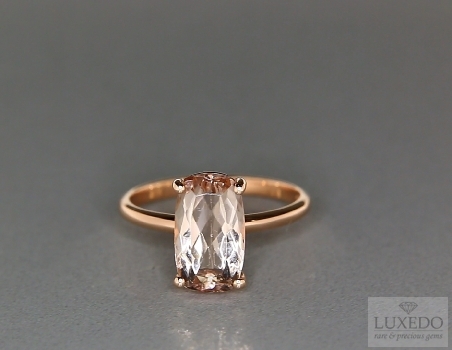 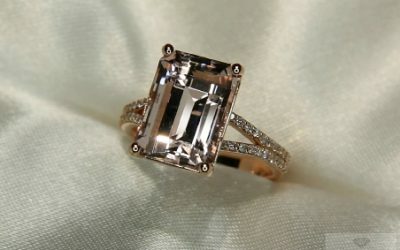 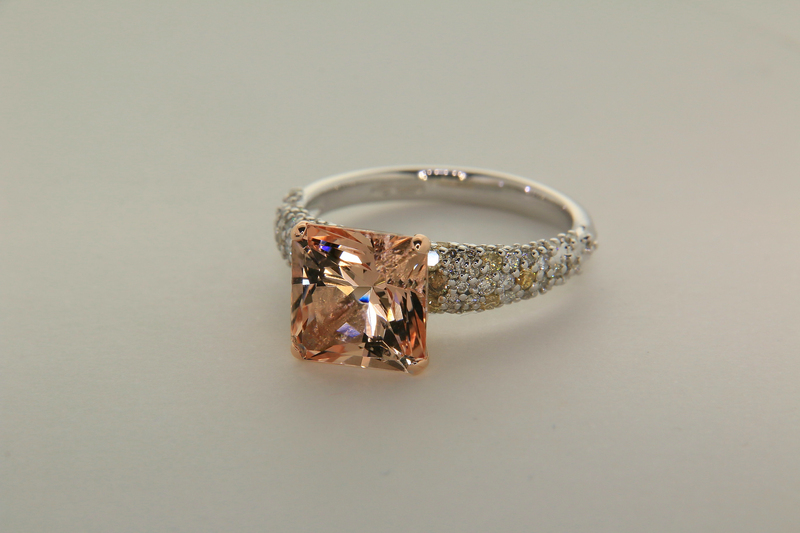 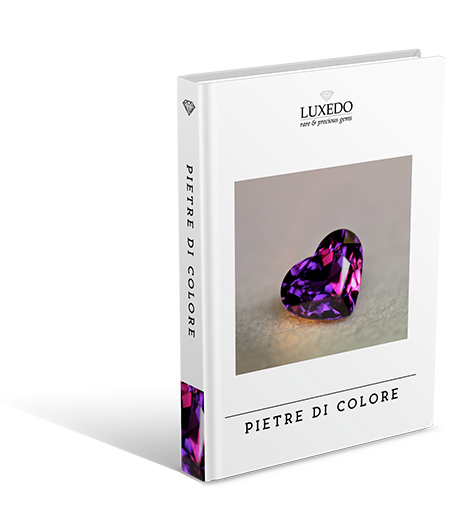 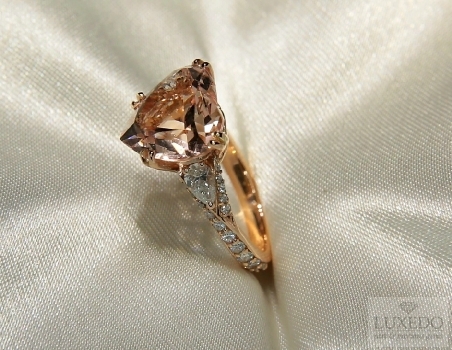 "The quality of the cut and its facets are important, as they enrich its excellent brilliance and romantic pink color." 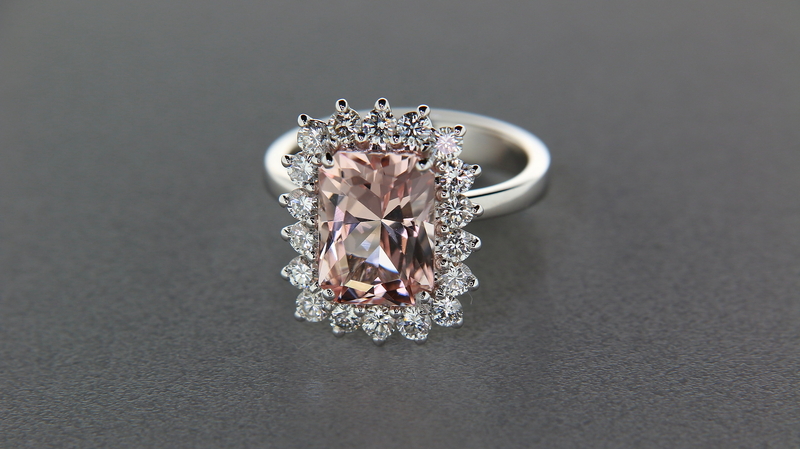 The mineral beryl, constituent of the famous variety Emerald and Aquamarine, is present in nature in different colors that depend on the presence of small amounts of coloring elements in the mineral crystal. 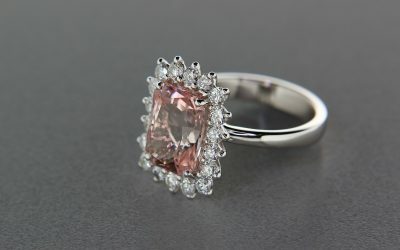 Morganite is the variety of beryl that comes in a pale and bright pink and owes its name to the famous American banker and enthusiast gems collector J.P. Morgan; its name resisted in time against the ambitions of advertisers who wanted to present this gem as the “Emerald pink.” The pink of Morganite is a sophisticated champagne rosé or a delicate salmon or even a pale peach color, hard to be confused with the pink of other gems and it has been appreciated by high jewelery houses, thanks to the exceptional purity of its crystals and the remarkable toughness that characterizes the whole family of beryl. 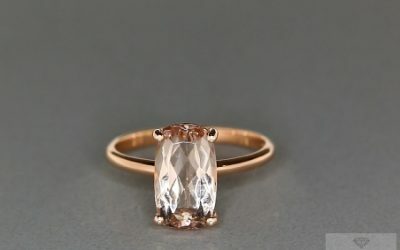 As a pink gemstone , the morganite is often associated to women; it’s not a coincidence that the gem was donated to the young women at the society debut in the thirties. 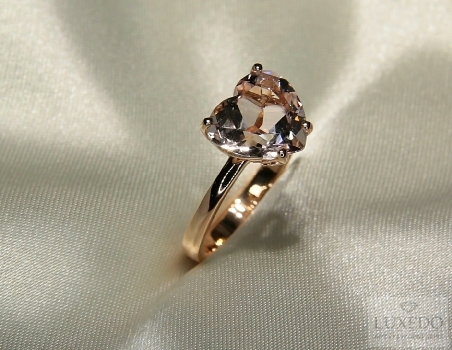 For this reason, it traditionally symbolizes purity, love and romance. 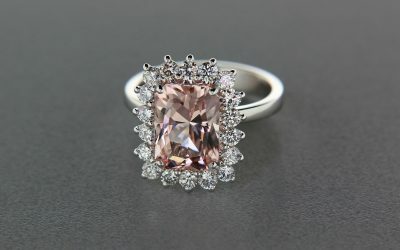 Nevertheless, it has a unique quality that allows you to easily distinguish it from other gems of the same color: its hardness. 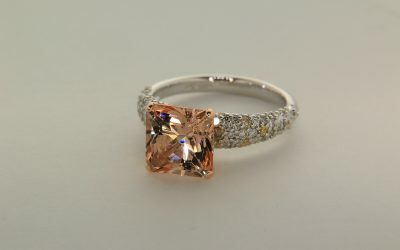 As a tough gem is appropriate to the creation of many types of jewelry, such as classic or cocktail rings.